I recently had the opportunity to give the Elizabeth Arden 8 Hour Intensive Daily Moisturizer a whirl in which i couldn't pass up the opportunity as i already own and love this which i got in duty free last year so i wanted to give another product from the range a try. The Elizabeth Arden Eight Hour Cream Skincare Collection consists of a number of products, the Skin Protectant been one of the most talked about and loved products in the range i'm sure! 'This daily hydrating lotion leaves skin feeling soft, smooth and moisturized for up to 8 hours. Suitable for all skin types'. I have been using this moisturizer daily now after i have cleansed using my Liz Earle Cleanse & Polish. The first thing i noticed was the smell, i'm not sure if all the products in the 8 Hour Cream Skincare Collection smell the same but this smells exactly like the other product from this range that i own. I personally love the quite strong smelling scent that is quite medicinal and it is not unpleasant in the slightest. The cream is quite thick in consistency which i like and blends into the skin effortlessly. I like the fact that it is suitable for all skin types as my skin seems to change with the seasons! Sometimes it is quite oily but can also be dry in places! So this is definitely a bonus for my skin type! It leaves my skin moisturized and hydrated without feeling greasy and i love the fact that this contains SPF 15 for days when i want to go makeup less (this is a very rare occurrence i must admit!) but if i am popping to the gym or taking a walk around the park i like the reassurance that this contains a SPF. I also like the packaging as it is a squeezy tube and you can easily dispense the right amount of product that you need without using too much! Overall i am impressed with the daily moisturizer and will continue to use this on a morning or before i apply my make up and under my foundation. The Elizabeth Arden 8 Hour Intensive Daily Moisturizer for Face SPF 15 is available from Look Fantastic and is priced at £28.00 for 50ml. All of the products in the Elizabeth Arden 8 Hour Skincare Range can be found here. Have you explored the Elizabeth Arden 8 Hour Skincare range? I use this every day but I find it too thick to wear on it's own. I normally put a teeny ammount in my hand and dilute it with two pumps of Fix+ and it's perfect to apply. I have really dry skin too but i like the smell :) love your blog . Can you do me a favour babe if you still have the box? Ive thrown my away and need to know the ingredients. Does it have alcohol denat in it? Sorry if its a slightly random question. I love Elizabeth Arden 8 hour cream and this intensive moisturizer sounds amaze! It's winter coming up here, and my skin get's very dry! I used to work for Arden! 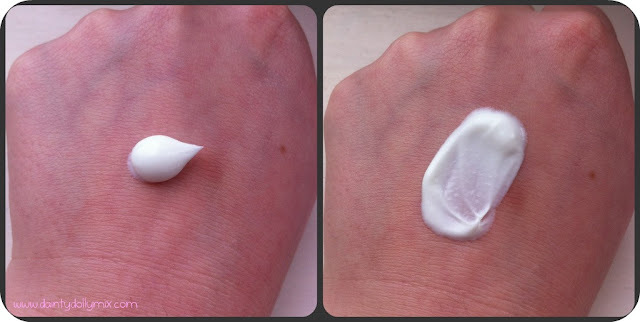 I love 8 hour cream, and the hand cream is one of the best I have ever used! What a great blog! You are so inspirational! If you get the time to check out my blog I would love to hear your opinions, I'd really apprieciate it! I actually feel ashamed as a beauty enthusiast that I have never tried this... It seems to be on everyones beauty essentials list!